Had I been thinking, I would have posted this last week during World Cat Day. 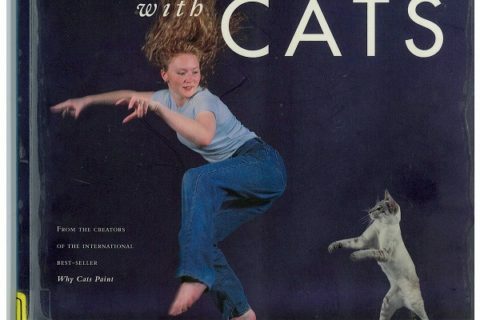 (Initially, I thought it was WorldCat day and we should be digging into to the catalog.) Evidently, there just aren’t enough cats on the Internet so we need a special day for our feline overlords. 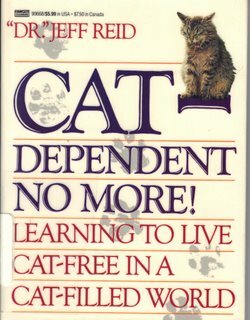 I was browsing for cat books on a reference question and I couldn’t resist this title. 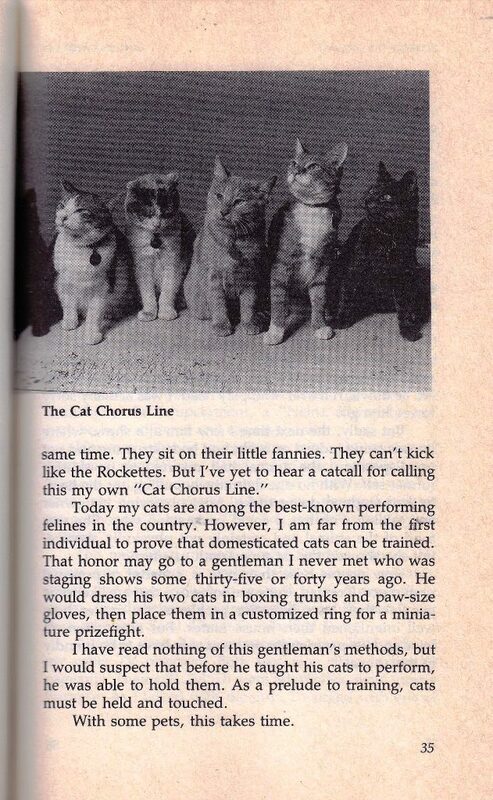 I am always amused at the idea of “training” a cat. I am not sure this particular guy has the answers since all the cats look annoyed. 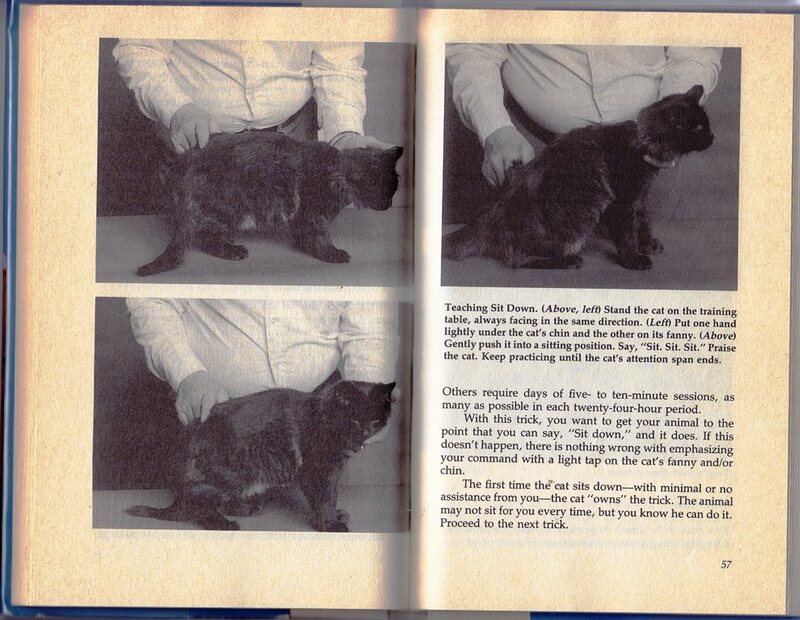 I especially like the photos on teaching a cat to sit. This book was in circulation as of this posting. I still think 1987 is a bit old for a book like this, even if the material is still good. Cat books (and other pet themed books) are always a hit with the kids. For the record, I have never had a request or even a conversation about training a cat. Dogs, yes, but no cats. Now excuse me while I attend to every need of my feline masters. 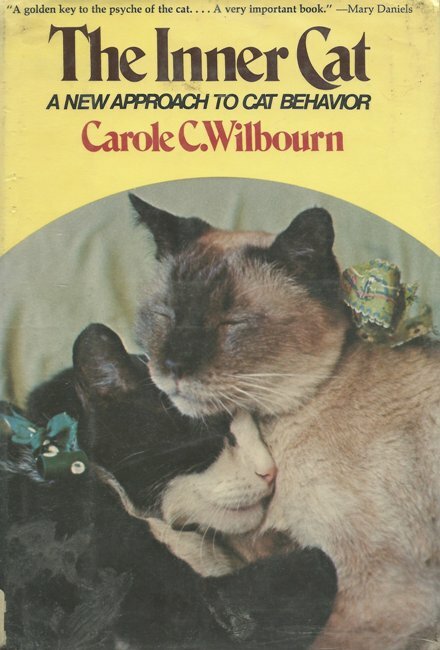 I purchased a book about training cats in the 1970s but have forgotten the exact title. (It had a red dust jacket. Perhaps this is enough information for my local librarians to find it. )The most important factor was to starve the cat for 24 hours so that it was hungry enough to work for the food reward. This advice made sense to me. My cat will sit on command – she even knows the sign for sit and will sit when signed to. She’ll shake hands and stand. That’s about the limit of her repertoire, but she has been seen counting (not far, but hey) and also comes when called – or looks up. She really only looks annoyed when there’s too much noise. She does think I can turn off fireworks and thunder. My great-grandmother, who was probably a dog person really, always trained her cats to do things, such as lie down and roll over. I believe she required some sort of performance before delivering the cat’s food. I wish I could have seen it, but her pets were before my time. I feel fortunate to have known her till I was 18, even without cats. I had always considered Bootsie to be a sweet, fat, lazy, and not too bright cat of eleven years. After my dog died I thought I would try to teach Bootsie a few doggie commands. It took her a little over a day to master Come, Sit, Beg, and Wave. Like me, she is VERY food oriented. 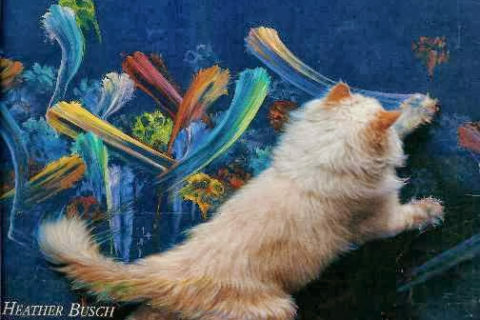 Cats must be trainable otherwise people who train animals for movies wouldn’t be able to do it. You guys–I’ve actually trained one of my cats to do the last two things pictured: sitting (only when we play a certain game, but still) and standing on her hind legs for treats. I’ve even gotten her to turn in a circle almost all the way around while standing for a treat. I’m gratified to know these are legit tricks, according to that guy in the weird hat who wrote the book. 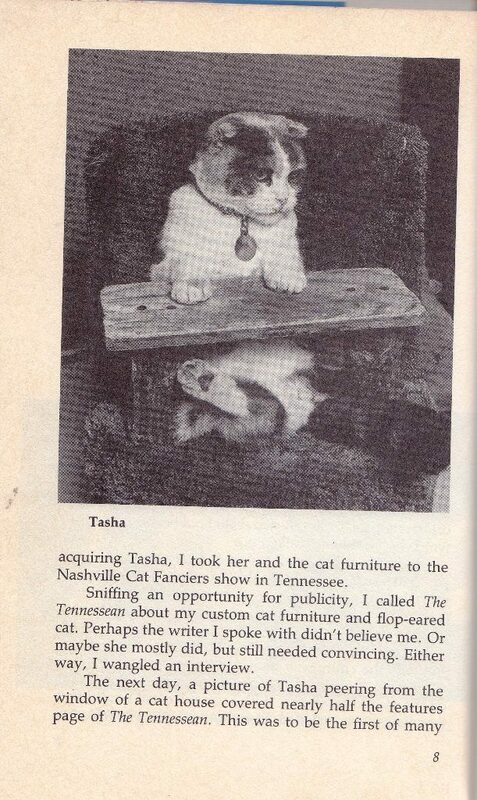 I gotta tell you, I’ve had cats all my life, and it has never occurred to me that I should call their $@!& a “fanny”. Give them the treat as soon as the wanted behaviour appears. 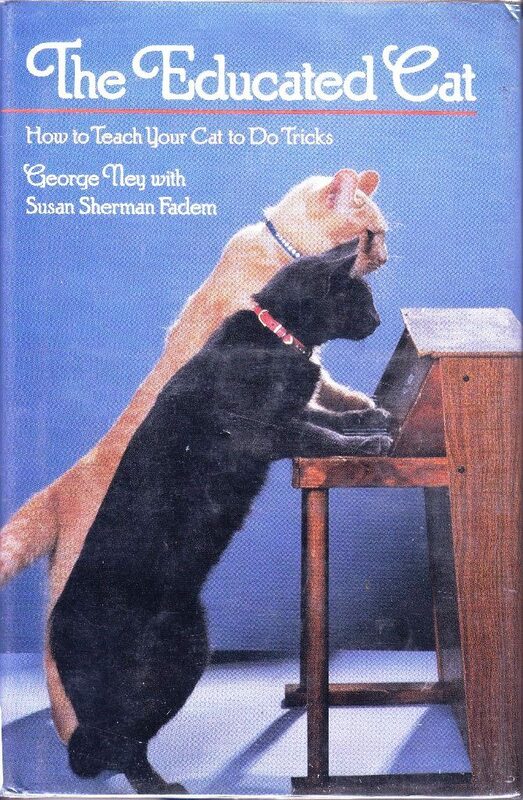 It doesn’t look like *this* book recommended starving the cats. If anything, the recommendation to continue a training session until ‘the cat’s attention span ends’ seems very sensitive to the cat’s needs. The recommendation Bob did above seems… dubious. 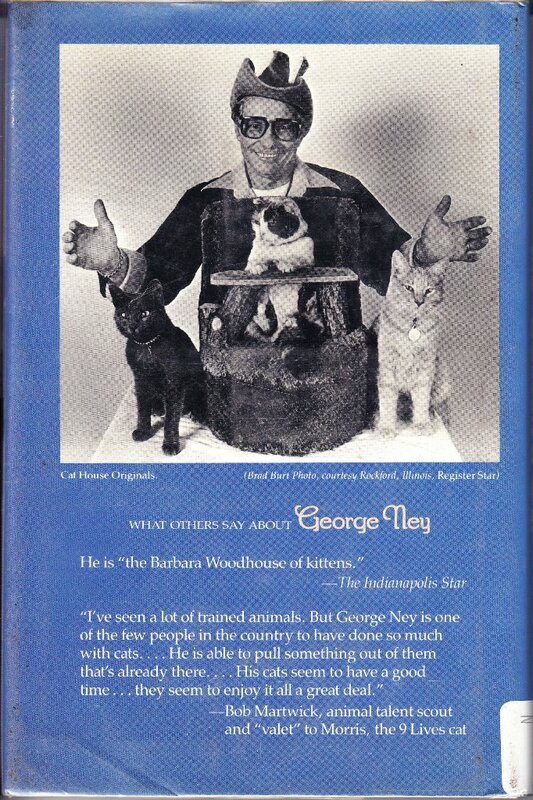 This one was clearly for someone who loved cats and wanted something to do as a hobby. Gently touching their chins and bottoms when they are in the mood for interaction isn’t really harmful.